P.O. Box 515, Graaff-Reinet, 6280, South Africa. 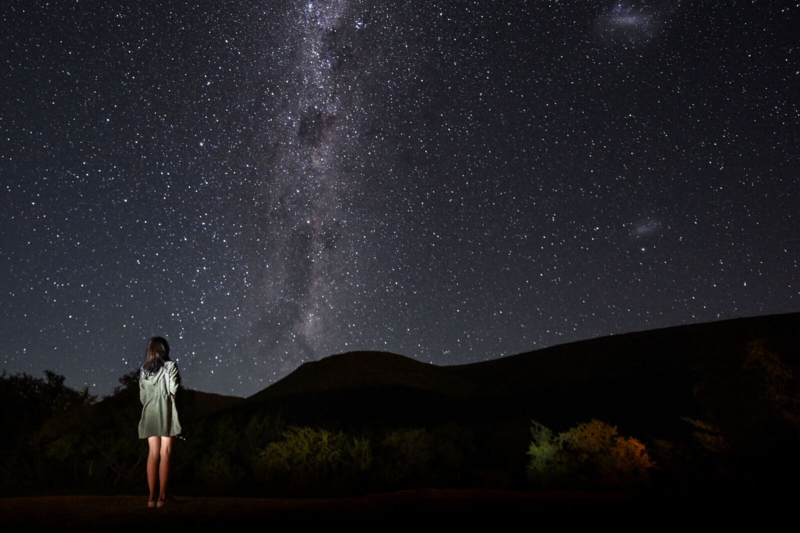 • One free night on us, to make the most of your time in the Karoo! 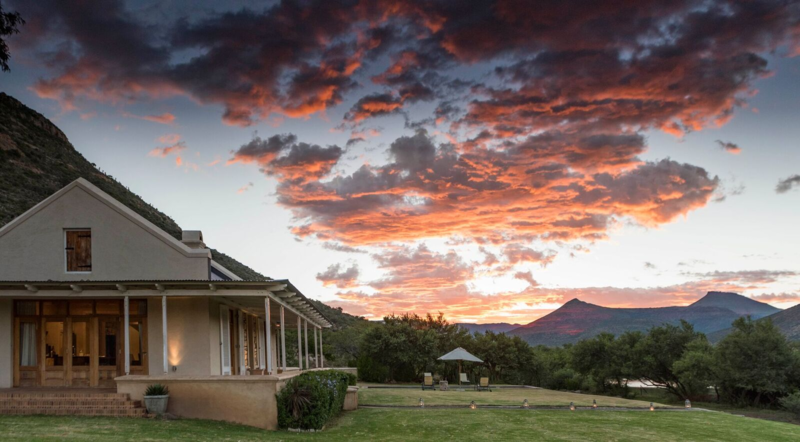 • Exclusively yours, accommodation in a beautifully restored Karoo Homestead with 4 luxury suites. 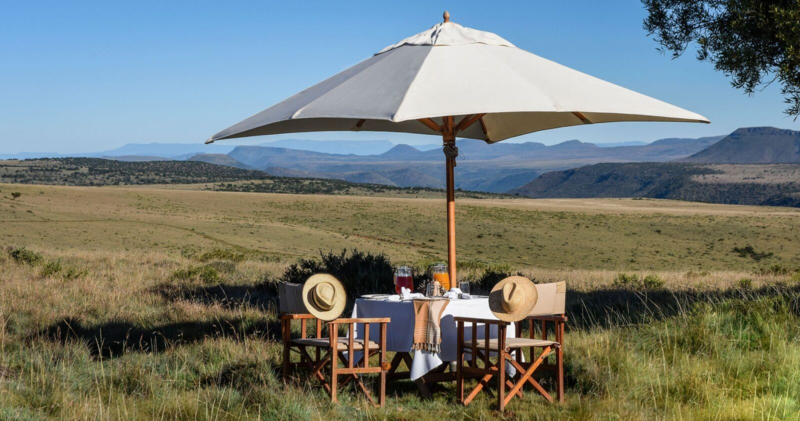 Mount Camdeboo Private Game Reserve rests at the foot of the majestic Sneeuberg Mountain Range in South Africa’s dynamic Karoo region. This is a place of sweeping panoramas and undulating escarpments, extraordinary plant and animal diversity and a deeply rooted cultural heritage – from its early Bushmen dwellers to its Dutch settlers. 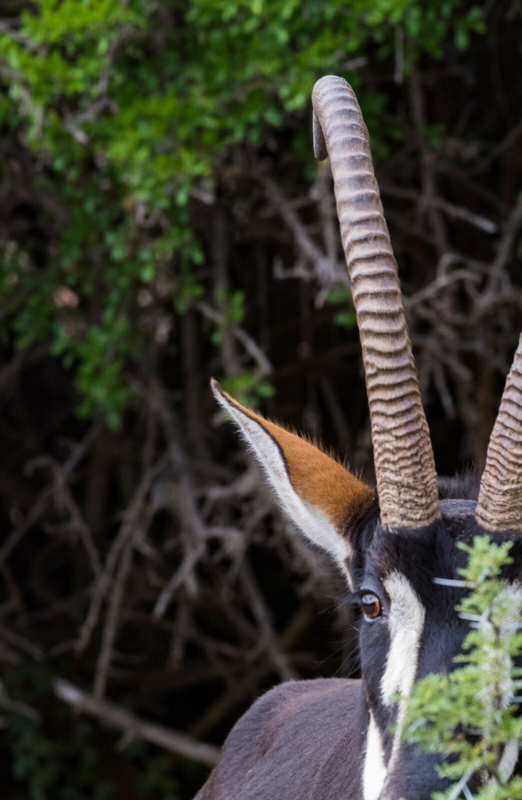 The reserve’s pristine 14,000 hectares traverse a myriad of habitats: thorn scrub valleys and succulent hillsides, plunging gorges and vast mountain grasslands teeming with game. 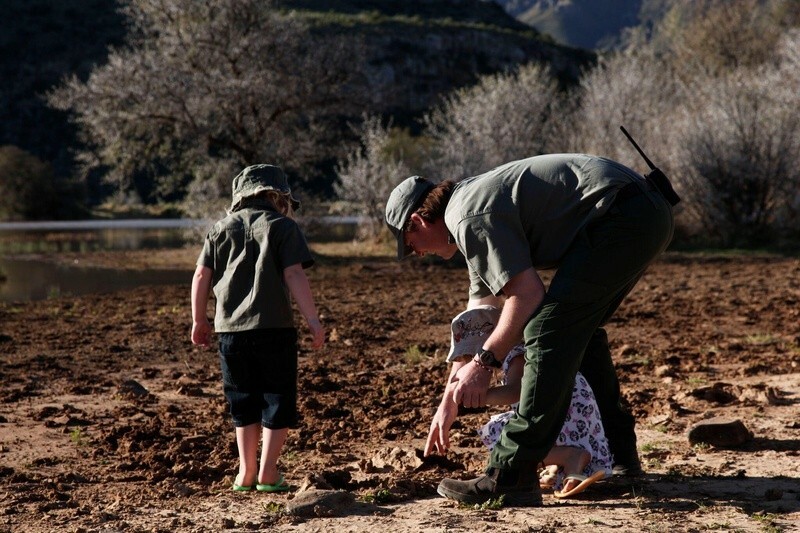 Mount Camdeboo’s commitment to the continued restoration and preservation of this important region through sustainable eco-tourism, along with the desire to demonstrate authentic Karoo hospitality in a relaxed and elegant setting, makes it a destination for thoughtful and discerning travelers. If wildlife is what you’re after, Mount Camdeboo contains an impressive spectrum. 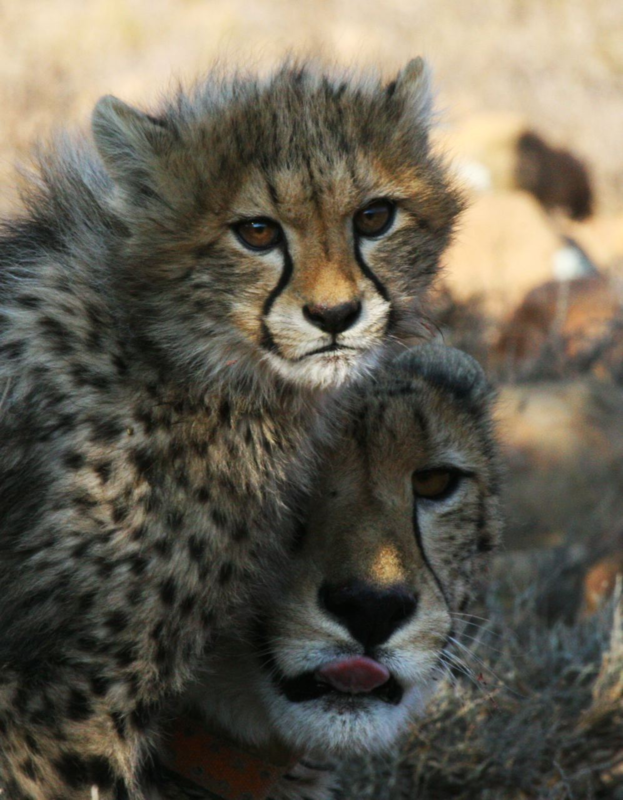 The reserve is home to white rhino, Cape buffalo, cheetah, giraffe, mountain zebra, a host of antelope and an abundance of birds. If remote R&R is what you need, then the on-site spa and the constantly evolving menu of wholesome, locally inspired, refined cuisine, will do wonders for body and soul. Accommodation is in three beautifully restored, gracious gabled manors – including a sole-use villa – each with spacious gardens and swimming pools, and one with an additional secluded cottage. 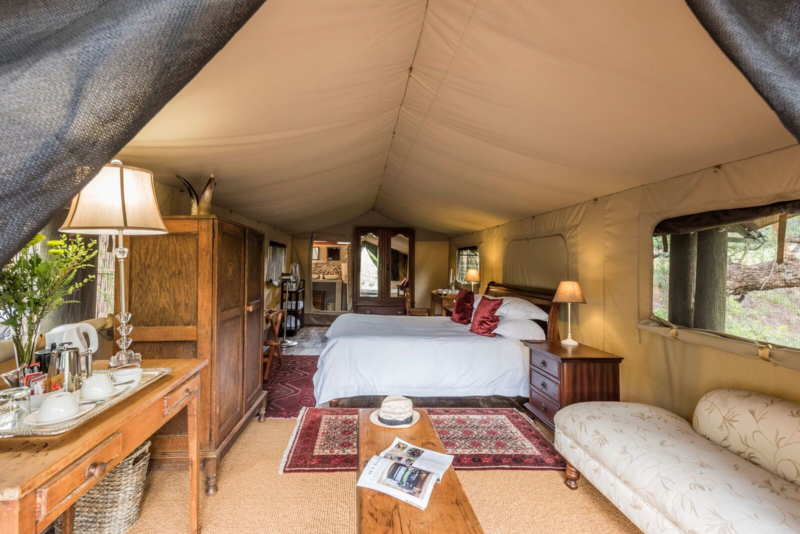 For those looking for something under canvas, two luxurious and privately located en-suite safari tents provide sweeping views over the reserve. 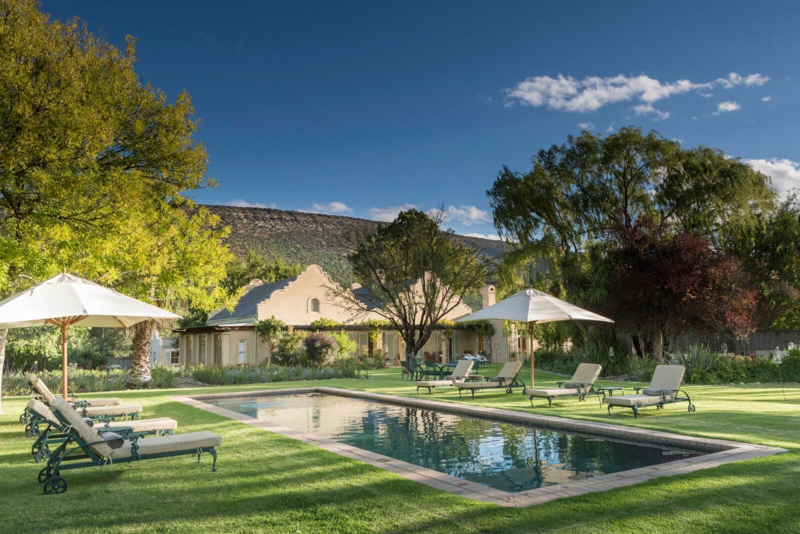 • Camdeboo Manor (4 suites): A fine example of traditional Cape Dutch architecture with wide Oregon pine floorboards, thick walls, beautifully landscaped gardens and a swimming pool. Four luxuriously appointed en-suite bedrooms (2x double and 2x twin, one of which is smaller and ideal for children) offer guests a private experience in a classic setting. Rooms feature air-conditioning, under-floor heating, a mini bar with tea/coffee making facilities and French doors opening onto the garden (the children’s room does not have French doors or a mini bar). Bathrooms have double vanities, a shower, bath and WC. 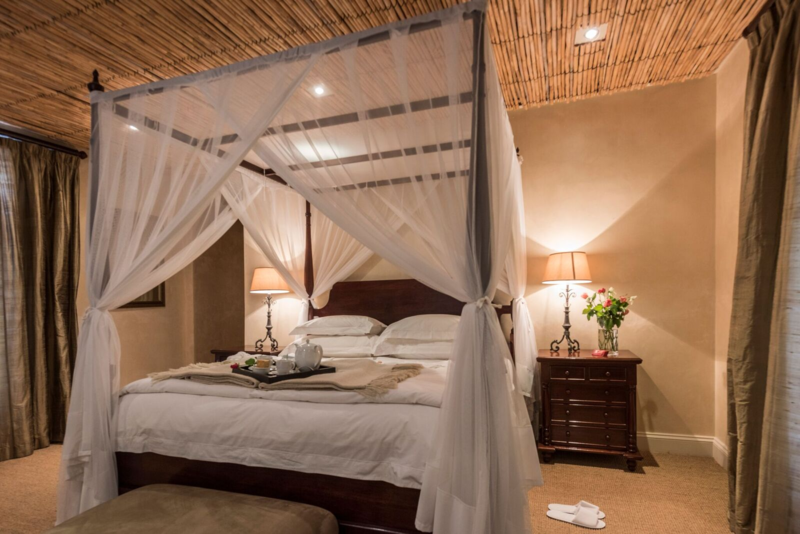 • Peppertree Cottage (1 Suite): Situated in a secluded part of Camdeboo Manor’s tailored gardens, Peppertree Cottage offers a romantic setting for honeymooners or couples seeking a private experience. The spacious cottage boasts a king-size bed, fireplace, kitchenette and a private garden. The bathroom features a double vanity, shower, bath and WC. • Courtyard (4 Suites): Courtyard is a gracious, double-gabled intimate homestead, encircled by a deep veranda that overlooks spacious gardens and a swimming pool. 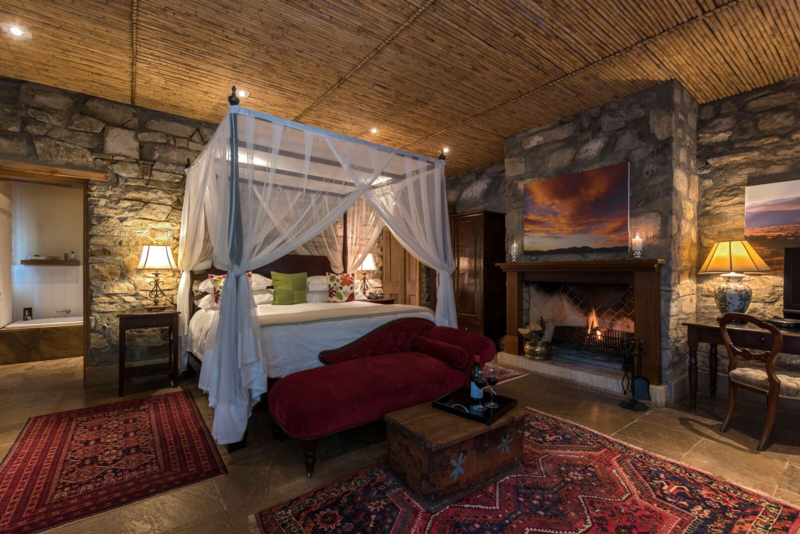 Comprising four tastefully appointed en-suite bedrooms (3x double and 1x twin), it lends itself to a more relaxed safari approach. It is ideal as an exclusive use villa for groups or family and friends traveling together. Rooms feature air-conditioning, under-floor heating, a mini bar with tea/ coffee making facilities and French doors opening on to the gardens. Bathrooms feature double vanities, a shower, bath and WC. • Hillside (3-bedroom sole-use villa): With an elevated position against the lower slope of Sneeuberg Mountain, Hillside offers a private setting with broad valley views. Available for exclusive-use only, it is an ideal family option offering relaxed and spacious living spaces, three double en-suite bedrooms, a swimming pool and a private safari vehicle with a ranger. • Safari Tents (2 x double tents): Two luxurious and privately located canvas tents are raised on wooden decks, overlooking the seasonal Melk River. 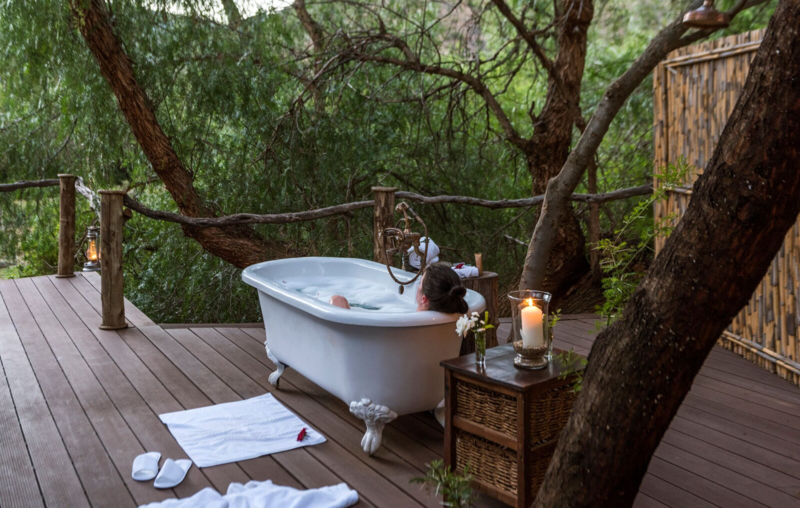 Accessible by a wooden walkway, each tent sleeps two in a queen-size bed, with an indoor en-suite bathroom featuring a shower, basin and WC; an additional outdoor bathroom features an open-air shower and bath. Its spacious deck offers views over the Milk River Valley and up to the picturesque Sneeuberg Mountain Range. Children 12 years and older are welcome here. 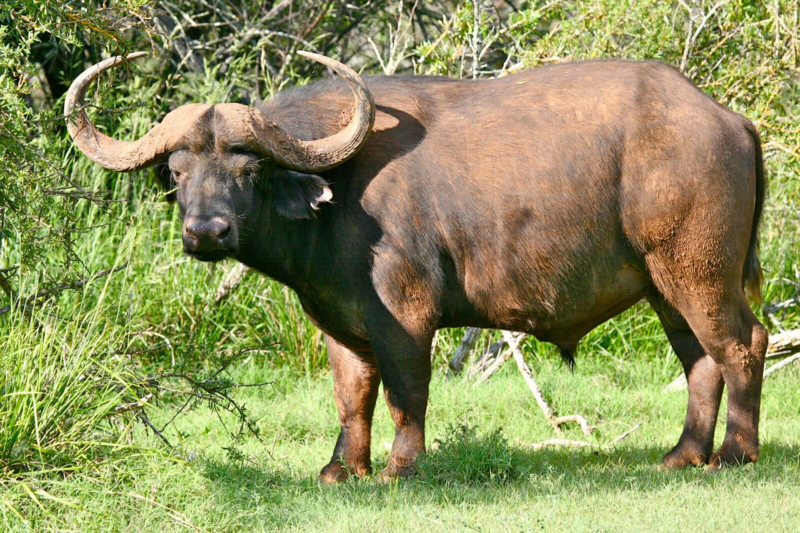 In the malaria-free Eastern Cape province, Mount Camdeboo offers a fabulous mix of wildlife viewing and high-end hospitality. 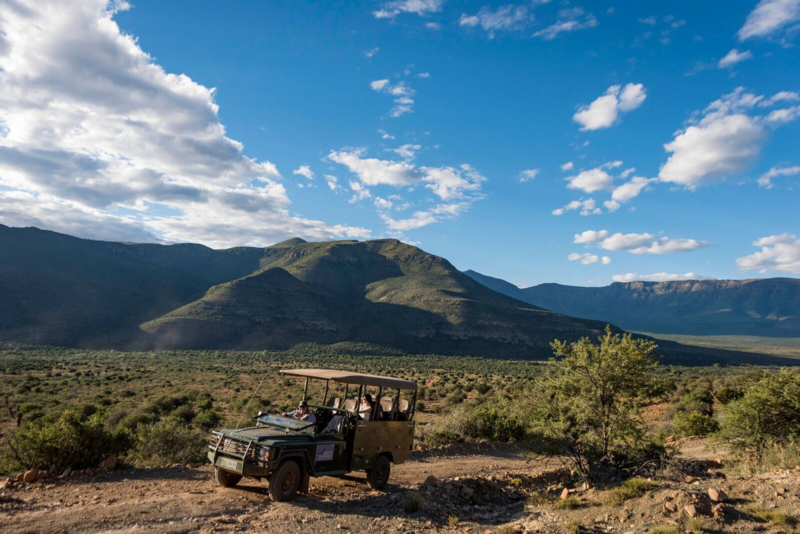 The activities on the reserve range from game drives and guided bush walks to cheetah tracking, scenic helicopter flights and star gazing. Informative talks take place at actual historical sites on the property, illuminating the lives of its first settlers and the dramatic events of the Anglo Boer War. 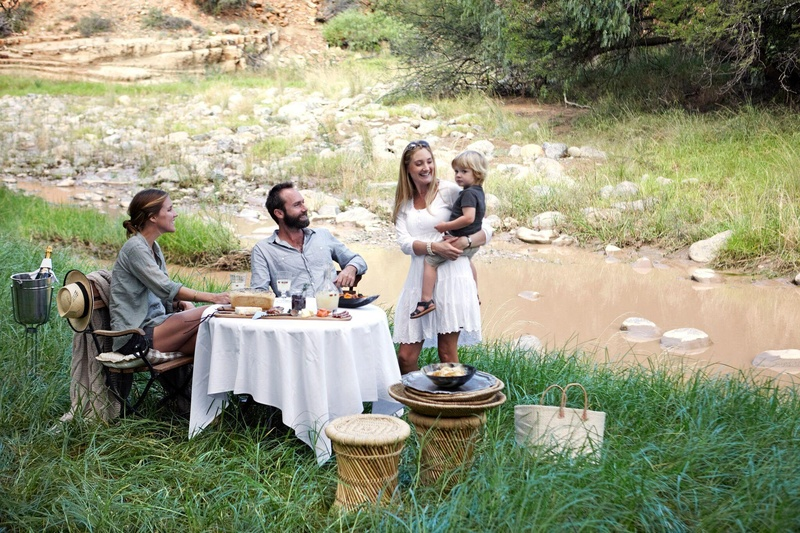 Just 28 guests can be accommodated on the property, making for a low-impact, uniquely private safari. 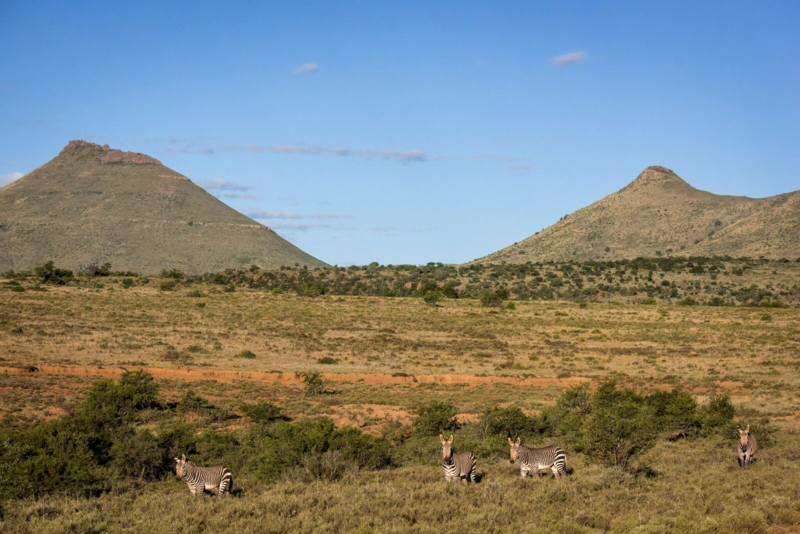 With the picturesque town of Graaff-Reinet only a forty-five-minute drive from the gate (one of the best-preserved of the Eastern Cape historic towns), it forms a perfect endpoint to a slow amble through South Africa’s backroads. Alternatively, the airstrip services charters from any major city in the country. 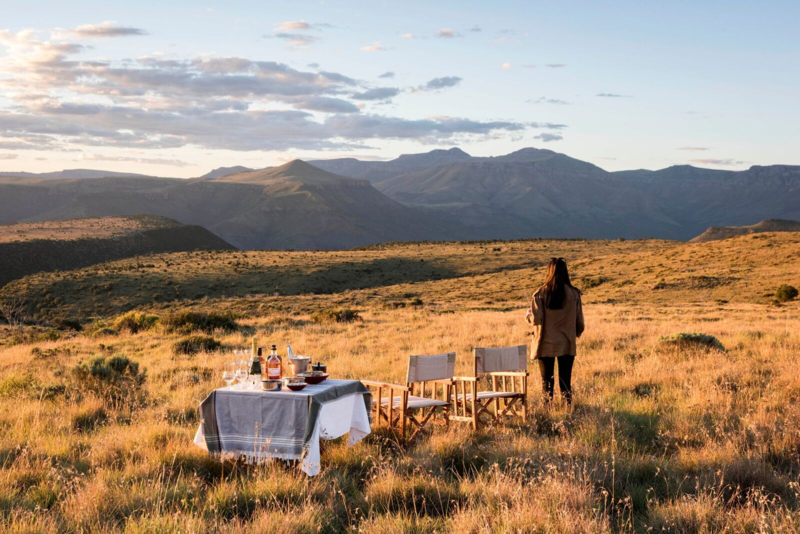 Mount Camdeboo’s commitment to the continued restoration and preservation of this important region through sustainable eco-tourism, along with the desire to demonstrate authentic Karoo hospitality in a relaxed and elegant setting, makes it a destination for thoughtful and discerning travelers. If wildlife is what you’re after, Mount Camdeboo contains an impressive spectrum. 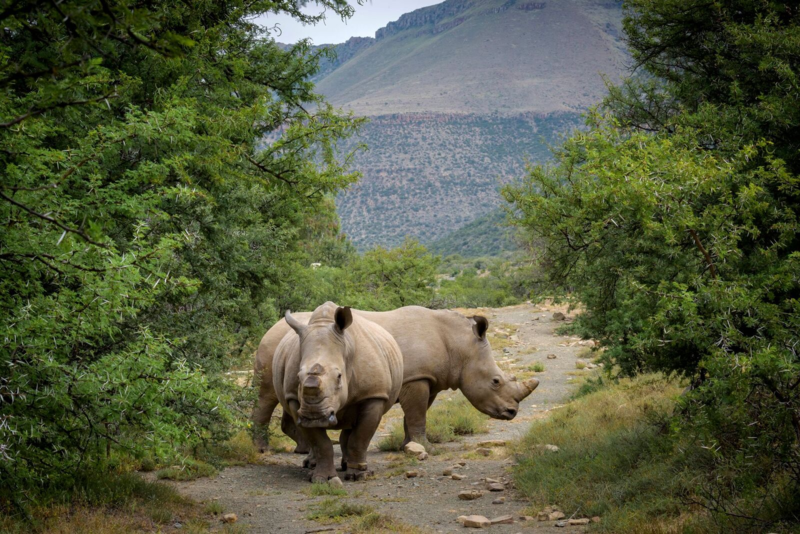 The reserve is home to white rhino, Cape buffalo, cheetah, giraffe, mountain zebra, a host of antelope and an abundance of birds. If remote R&R is what you need, then the on-site spa and the constantly evolving menu of wholesome, locally inspired, refined cuisine, will do wonders for body and soul. 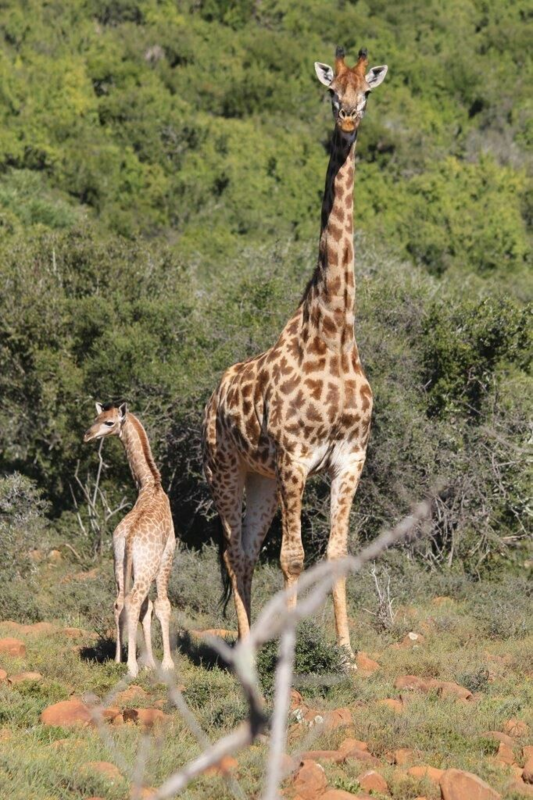 Please note that Game Drives are available to overnight guests only. From Port Elizabeth, take the N2 to Cape Town, turn right onto the R75 and then right onto the R63. Continue for 5 km and then turn left onto the Petersburg dirt road. Pass through 4 security gates, the 4th is the entrance to the reserve. Continue for a further 2.5 km. Also inquire about pre-arranged Helicopter Charters through Mount Camdeboo Reservations.